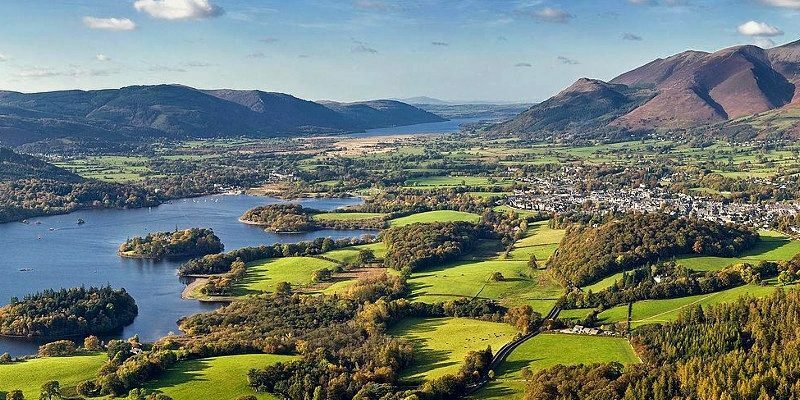 It was a sunny spring morning in 1802 as William Wordsworth and his sister Dorothy strolled along the banks of Ullswater in the English Lake District, Cumbria. 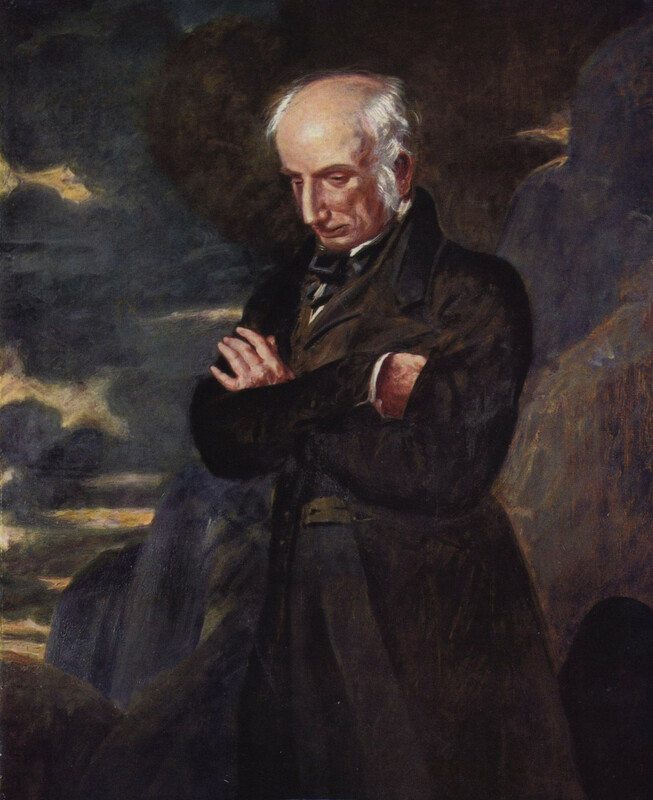 Inspired by the majesty of the moment, Wordsworth was about to change forever the way we view our relationship with the natural world. 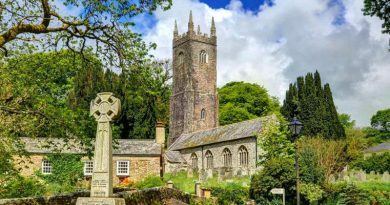 Captured for eternity within the first stanza of his most famous poem, Daffodils, are the words that created a cultural movement. 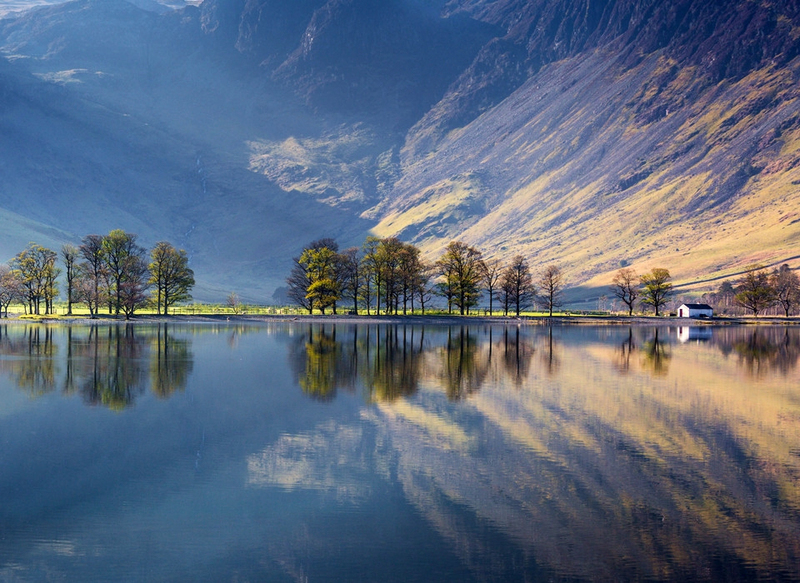 Thousands would follow in Wordsworth’s footsteps to wander lonely as a cloud, beside the lake and beneath the trees. 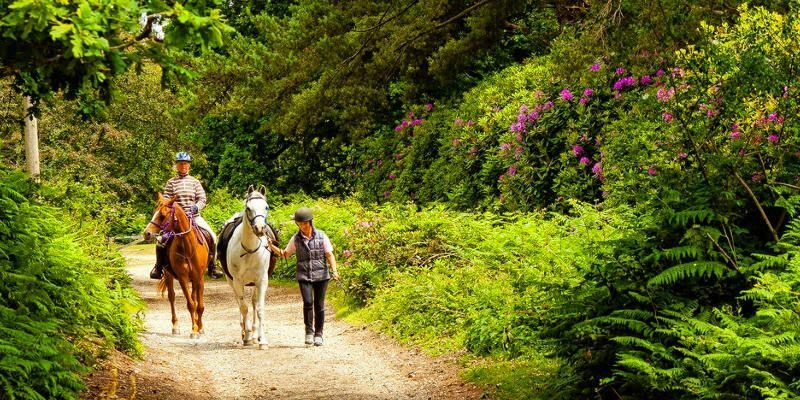 Breathtaking vistas, lush valleys, sunlit passes—every bend in the road is a fresh celebration of the natural splendour of the Lake District and a new photo opportunity. 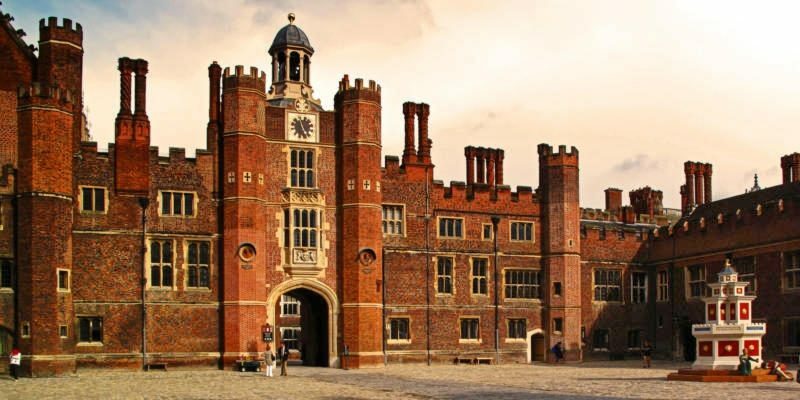 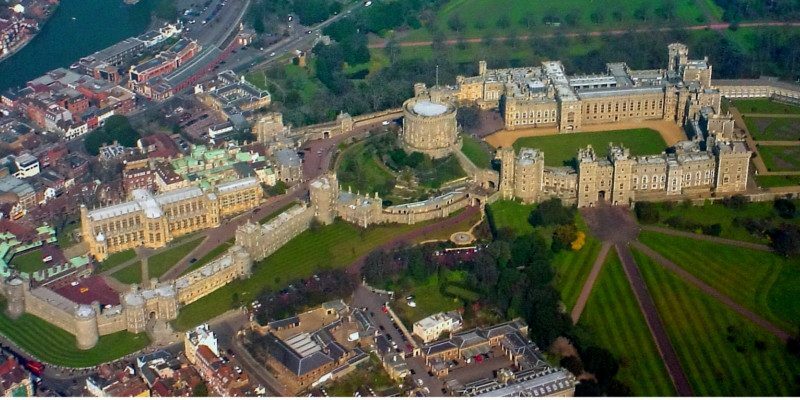 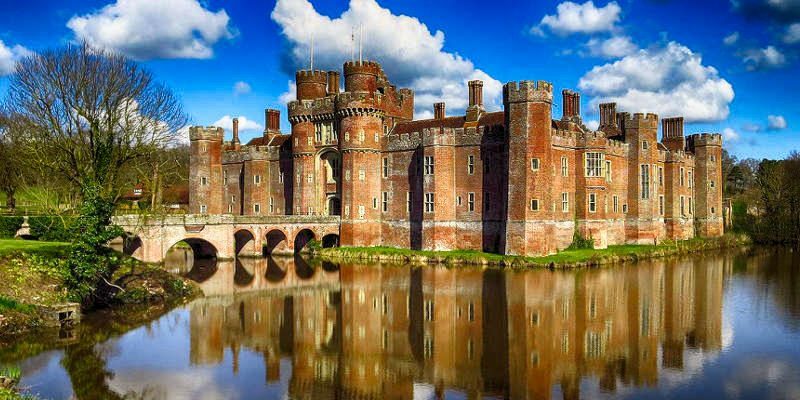 Here are 10 fascinating facts that may inspire you to visit this most beautiful corner of the British Isles. 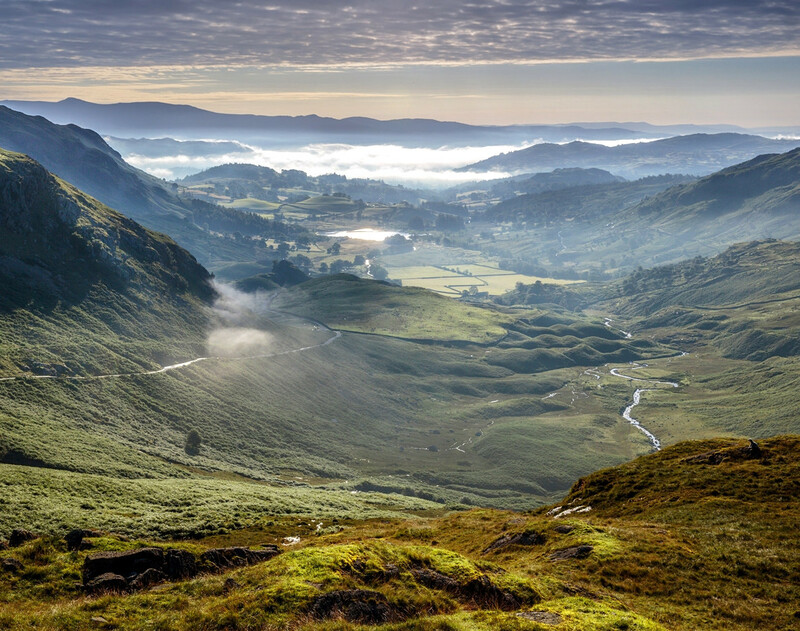 Forming a roughly circular upland massif with a radial pattern of deep valleys, the geological character of the Lake District has evolved through repeated glaciations over the last 2 million years. 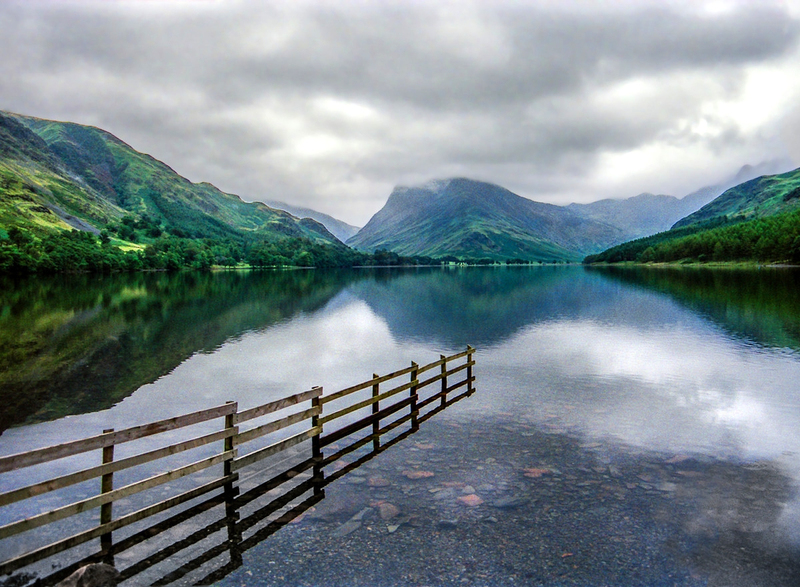 Displaying the U-shaped cross-section typical of glacial erosion, the Lake District’s valleys often feature elongated lakes with relatively flat ground at their heads. 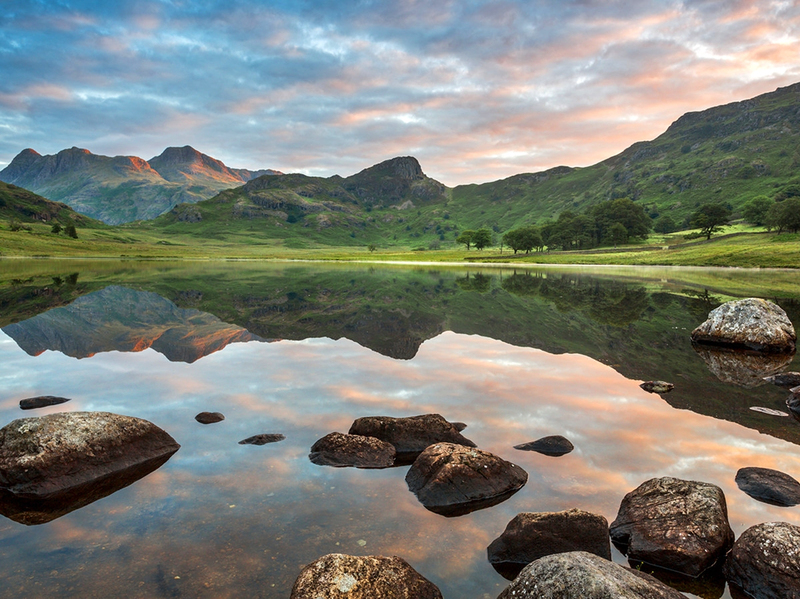 Smaller lakes called “tarns” are found at the higher elevations. 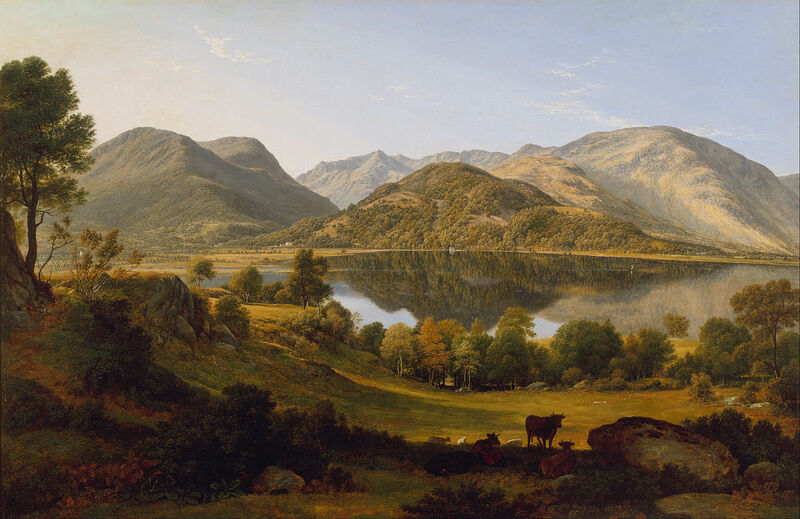 Before the 19th Century, the more remote areas of Britain such as the Lake District were viewed as dangerous. 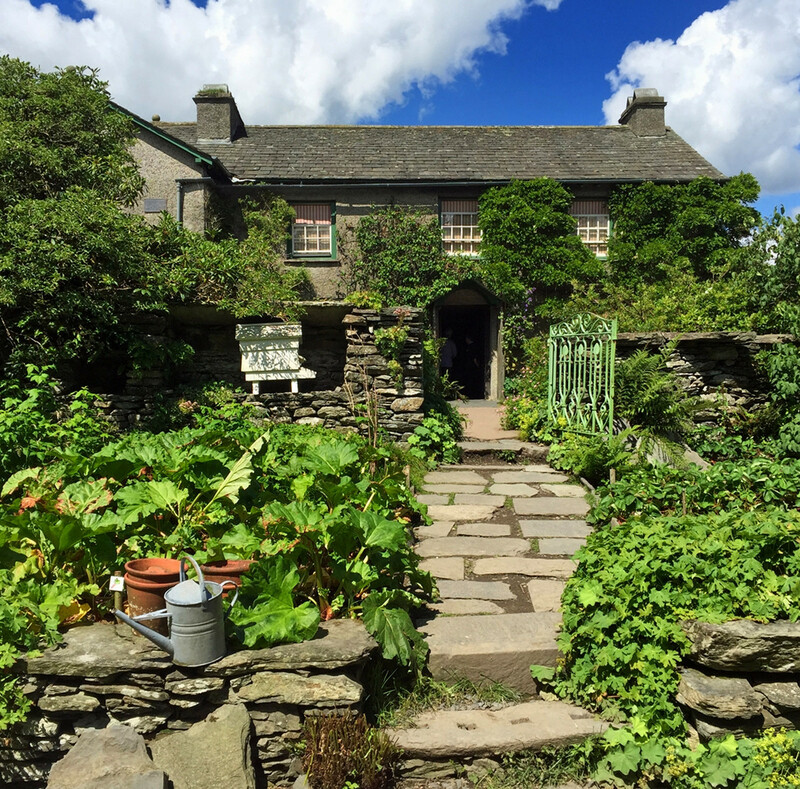 Through poetry, Wordsworth helped changed forever the perceptions of mankind’s relationship with nature. 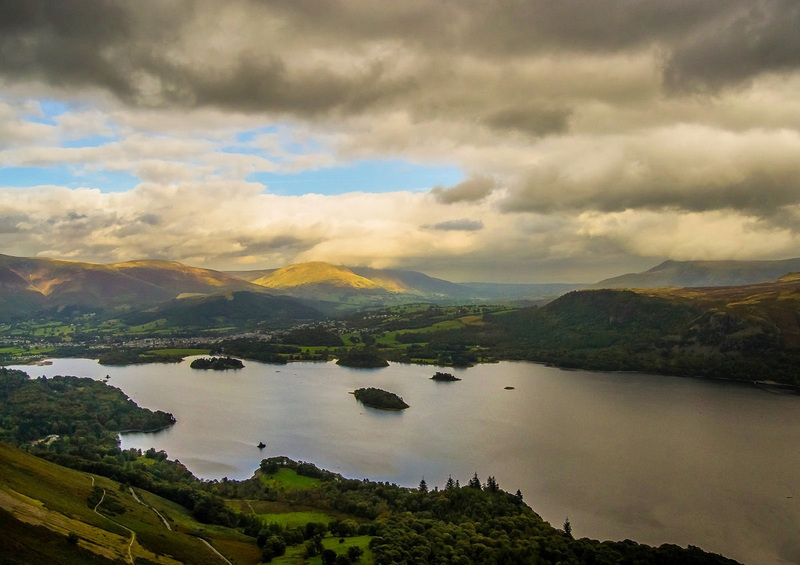 Publishing his “Guide to Lakes” in 1810, William Wordsworth may have been completely unaware of the profound changes he was helping to bring about. 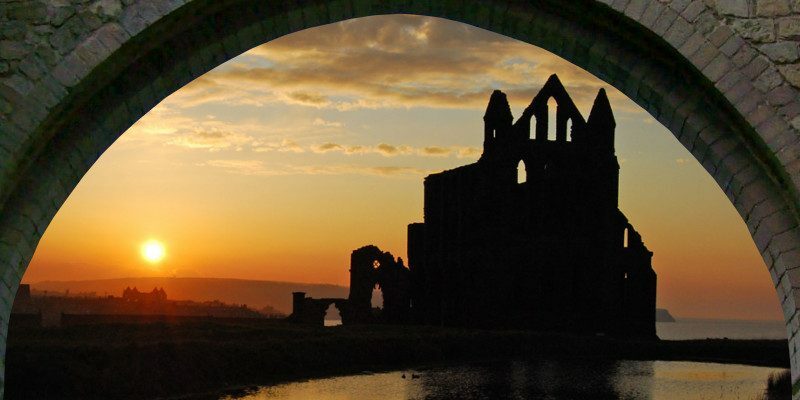 Fueling his vivid imagination, nature had always been important to Wordsworth. 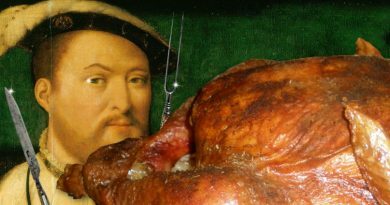 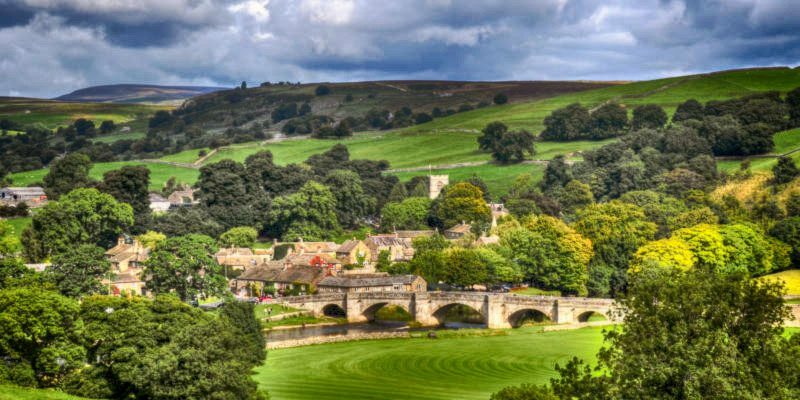 He could see how “England’s green and pleasant land” and the working poor were being exploited by industrialists, and believed that a love of nature would lead naturally to a love of mankind. 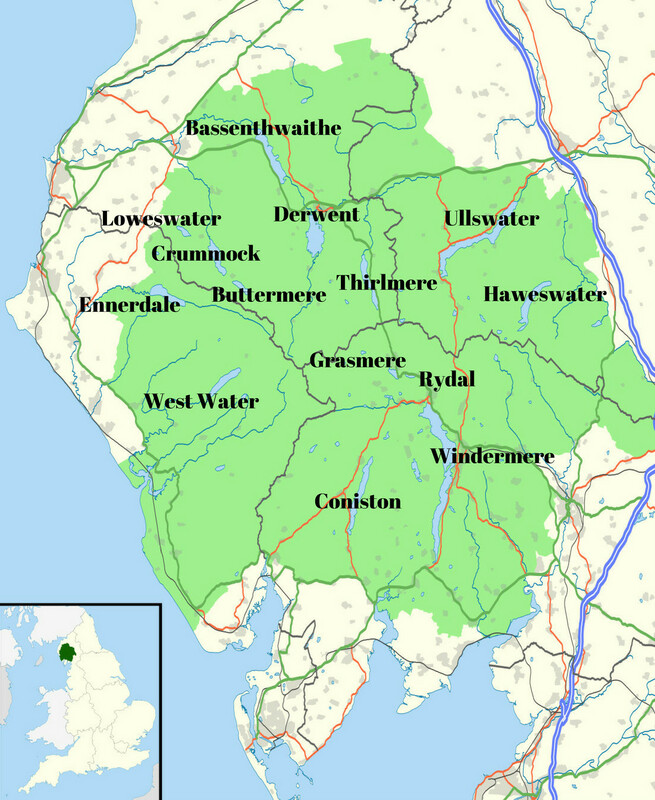 Other famous poets moved to live or spend time in the Lake District, becoming known collectively as the Lake Poets. 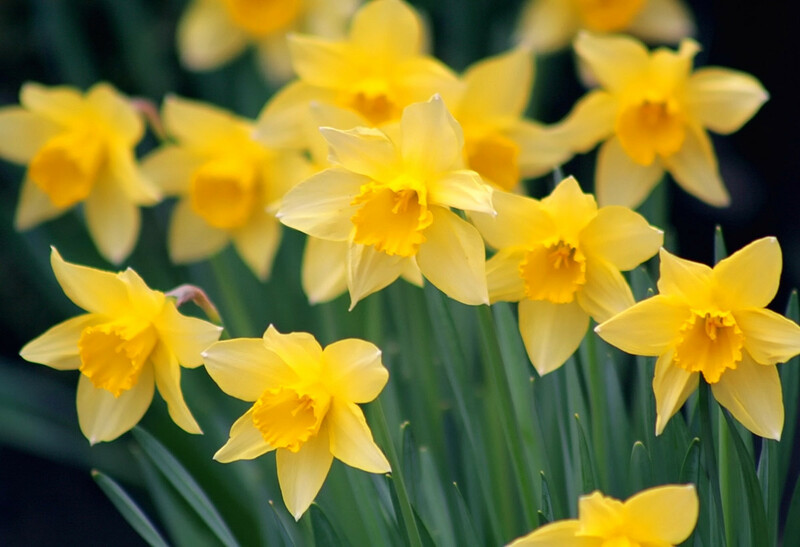 Wordsworth’s most famous work is a lyric poem called Daffodils. 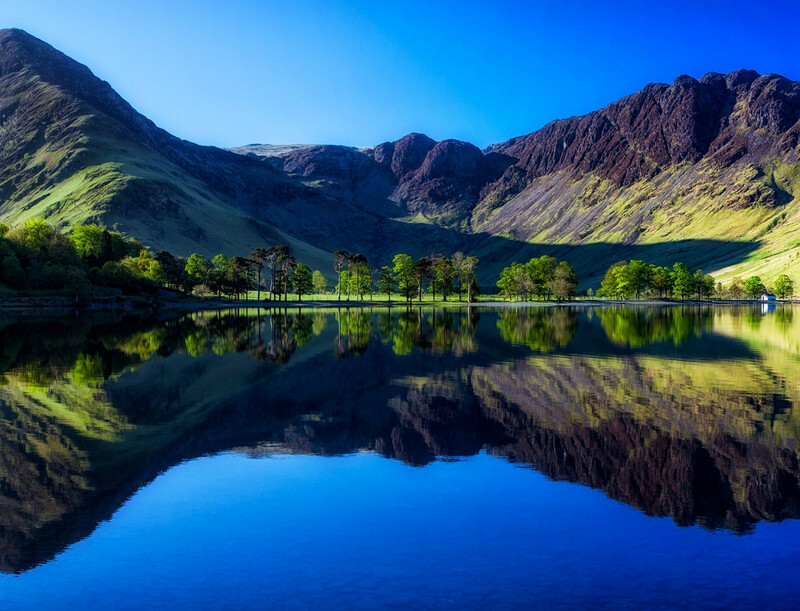 Formed more than 450 million years ago, Scafell Pike in the Lake District is England’s highest mountain. 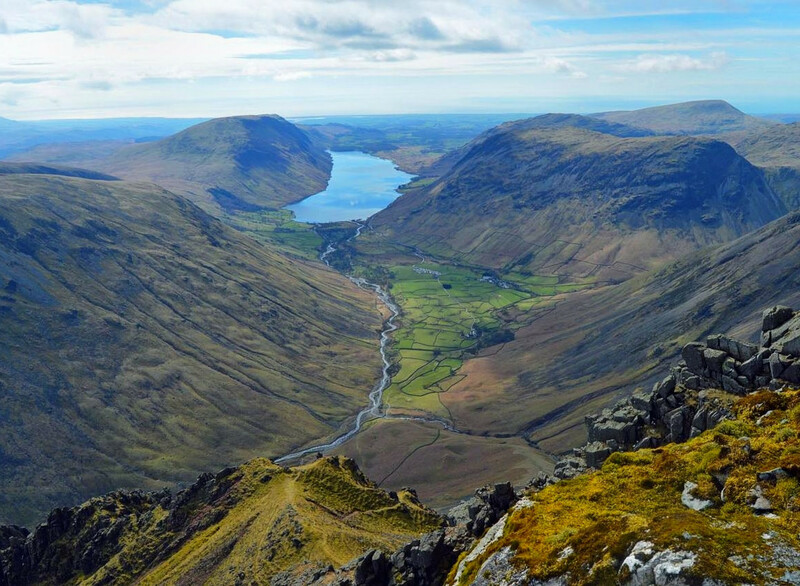 On a clear day you can see other peaks in Wales, Ireland, Scotland and the Isle of Man from the top of Scafell Pike. 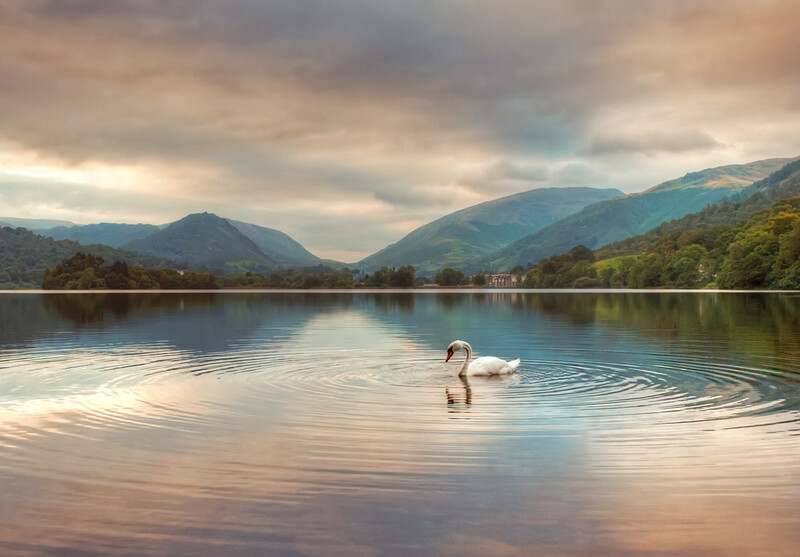 The largest natural lake in England is also in the Lake District. 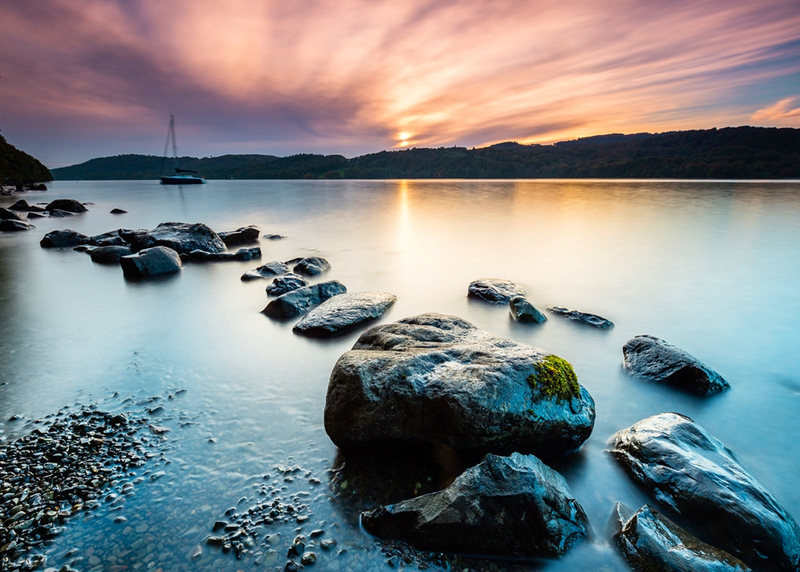 Windermere is 11 miles long and has 18 islands dotted along its length—the largest of which is Belle Island, where Roman artifacts have been discovered. 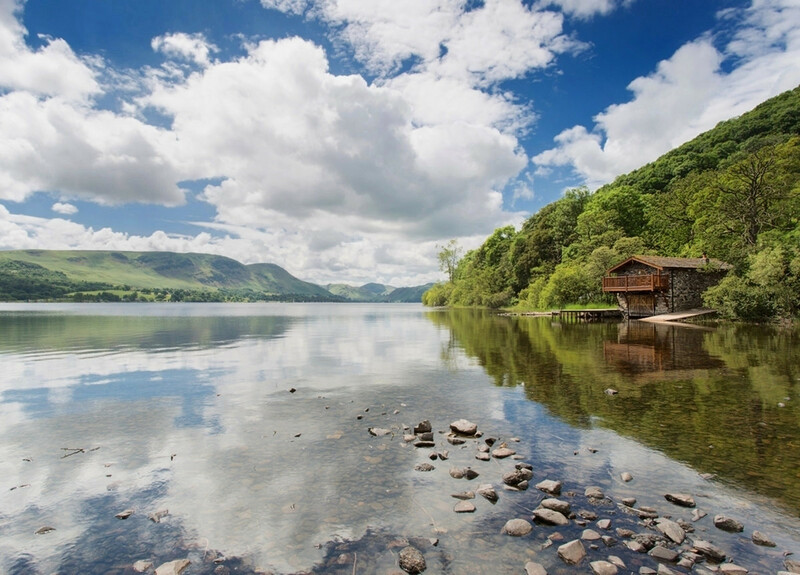 With 16.4 million visitors a year, 24 million tourist days, and a yearly visitor spent of £1.2 billion, the Lake District is by far the most popular national park in the UK—almost twice as popular as the Yorkshire Dales. 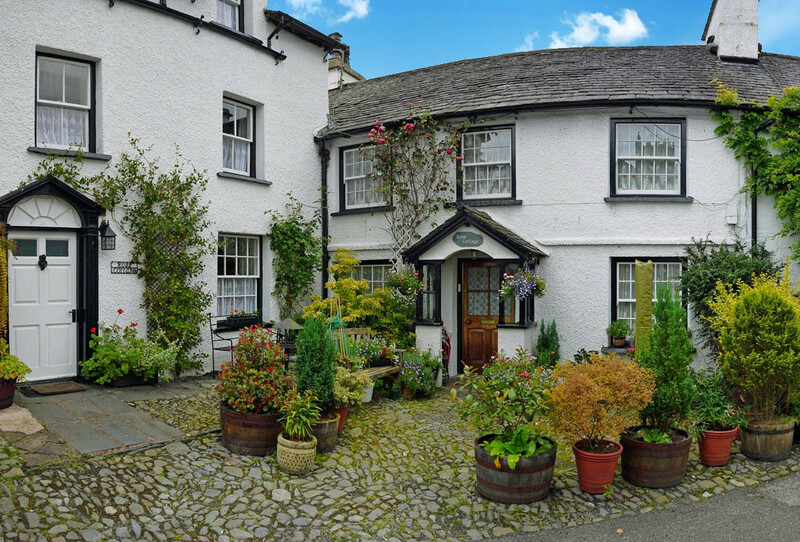 Regarded as one of the best places to eat in Britain, the Lake District has four Michelin Star restaurants: L’Enclume, The Samling in Ambleside, The Forest Side and Gilpin Hotel. 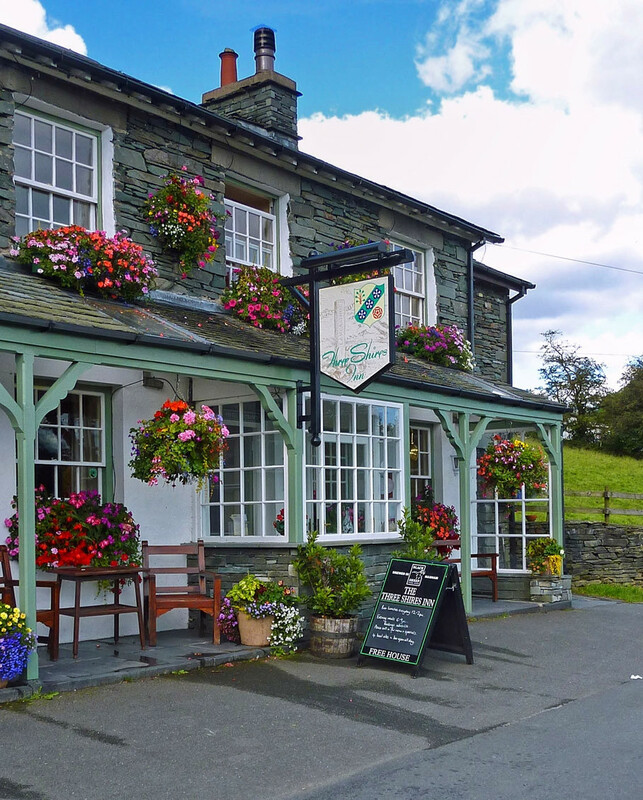 Cumbria has more microbreweries than any other county in Britain and together with Jennings Brewery supply a variety of superb English Ales to pubs and restaurants throughout the region. 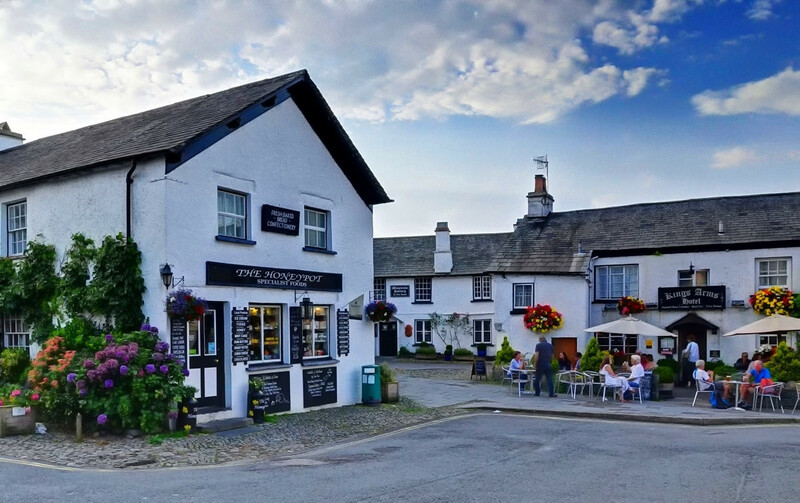 With many buildings dating from the 17th century, Hawkshead has a timeless atmosphere, a warren of alleyways, overhanging gables, and medieval squares. 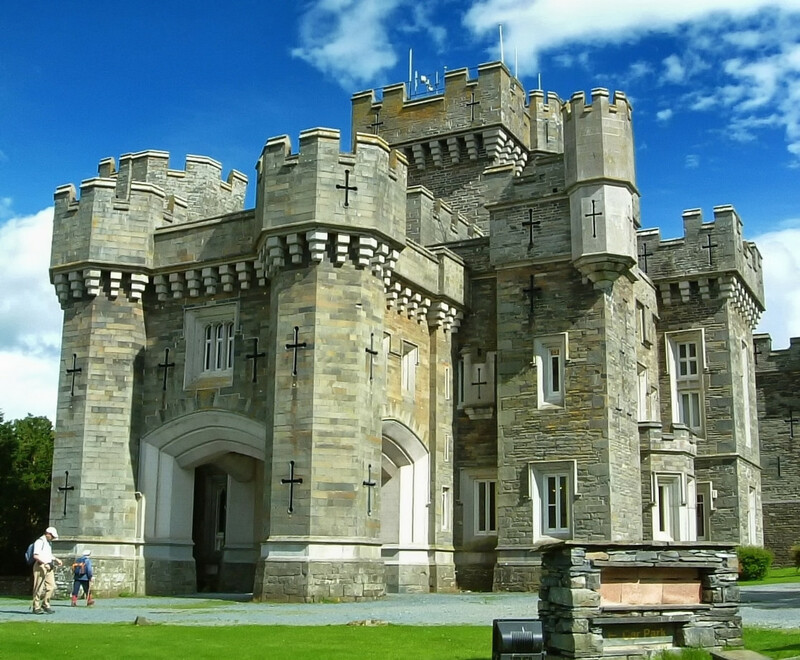 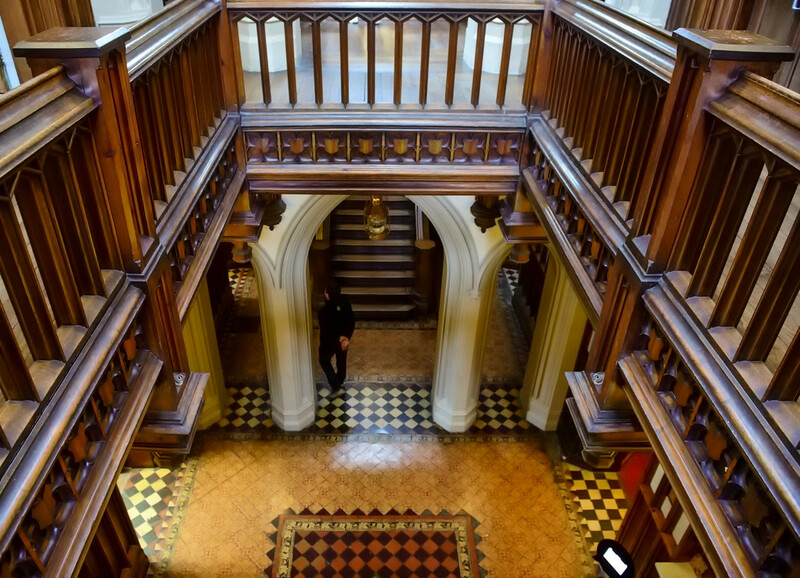 Built in 1840 by a retired surgeon from Liverpool, Wray Castle is a Victorian neo-gothic building on the shores of Windermere and open to the public year round. 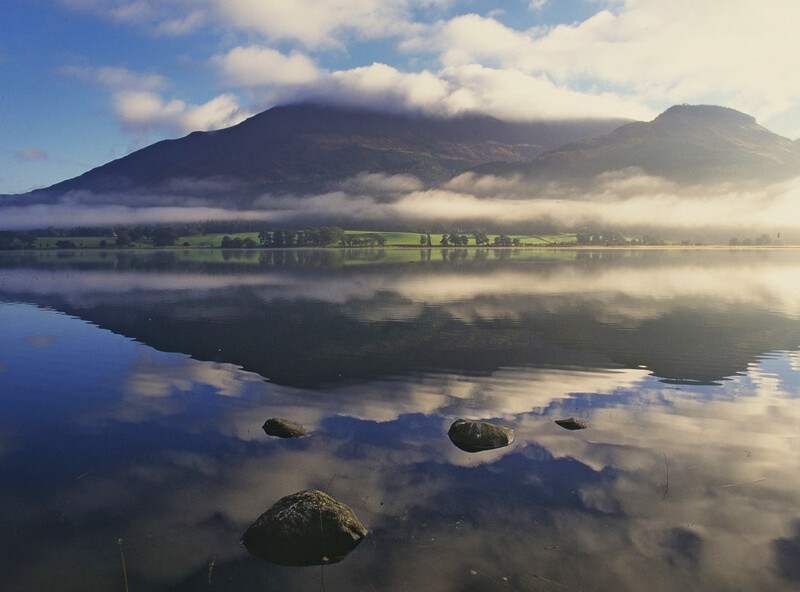 Only one of the lakes in the Lake District is called by that name, Bassenthwaite Lake. 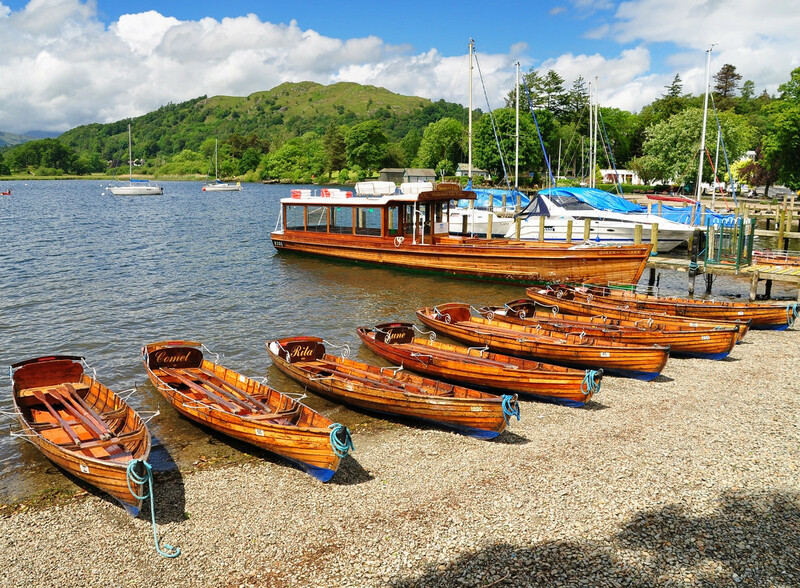 All the others such as Windermere, Coniston Water, Ullswater and Buttermere are meres, tarns and waters, with mere being the least common and water being the most. 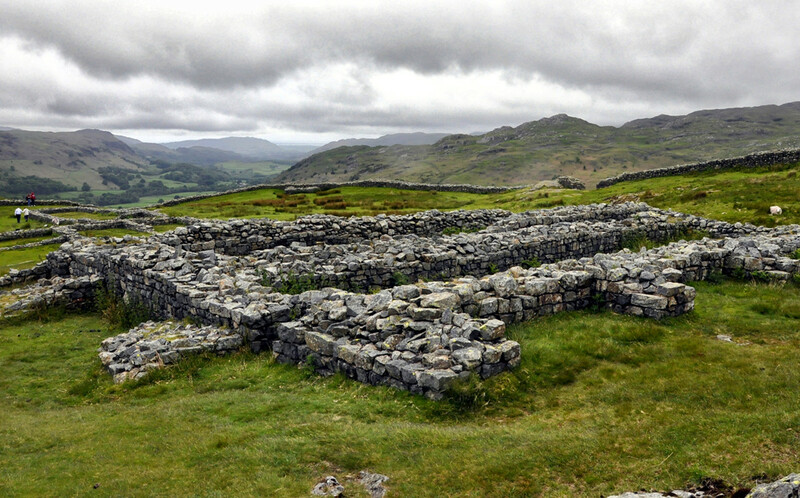 Established in the second century AD under the reign of Emperor Hadrian, Hardknott Fort is the best preserved Roman Fort in the UK. 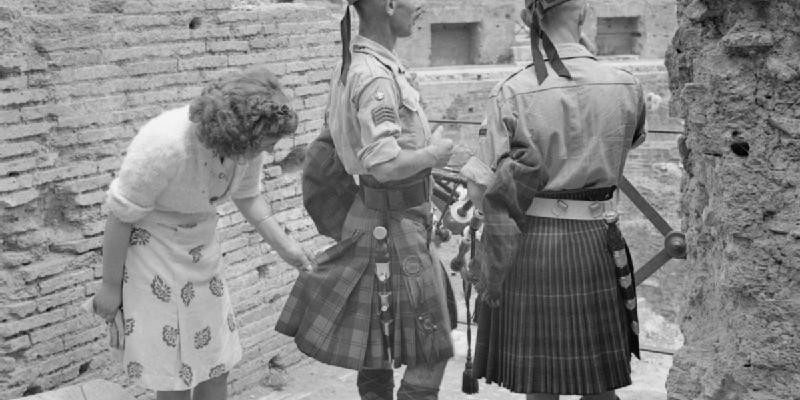 Garrisoned here were a detachment of 500 cavalry of the 6th Cohort of Dalmatians from the Dalmatian coast in what is today a historical region mostly within the borders of Croatia. 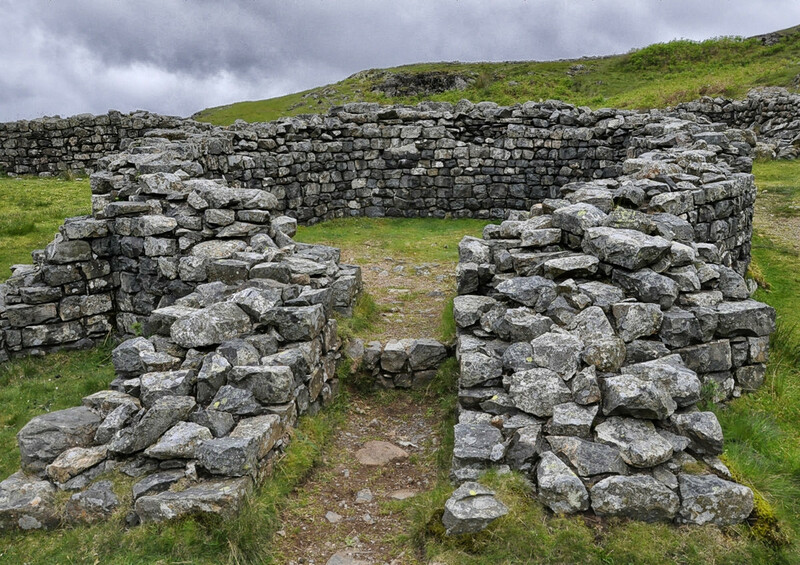 Abandoned in the late 130s AD, the small 3-acre fort became a temporary shelter for passing patrols and travellers. 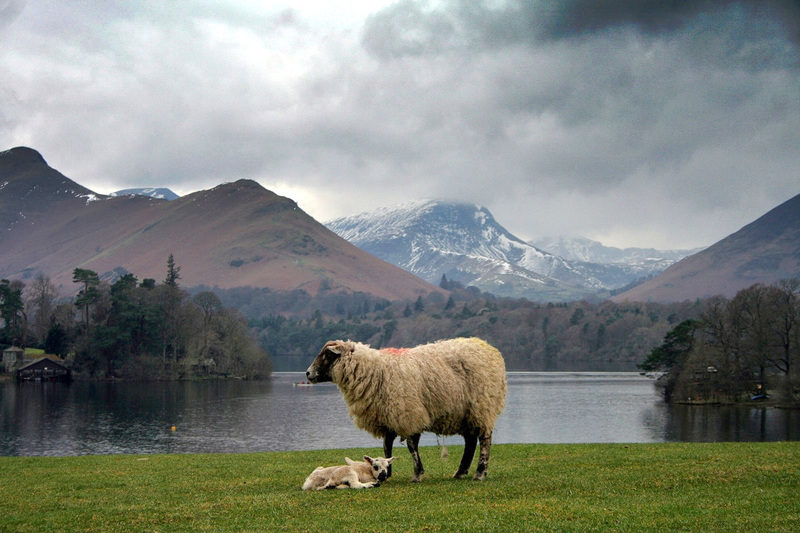 The Lake District is populated by a huge number of sheep — over 3 million in the county of Cumbria. 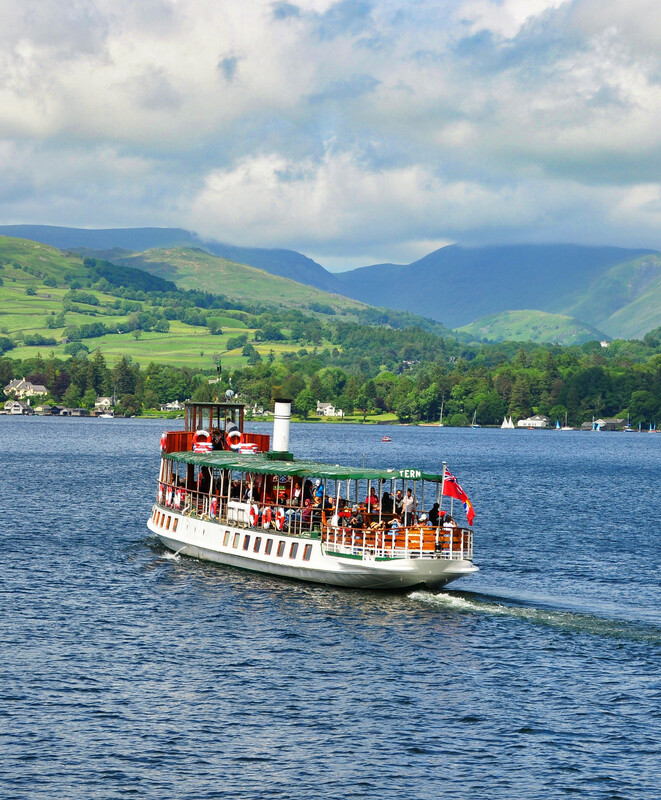 Whereas Cumbria has a population of close to 500,000, the Lake District itself has only about 45 people per square mile. 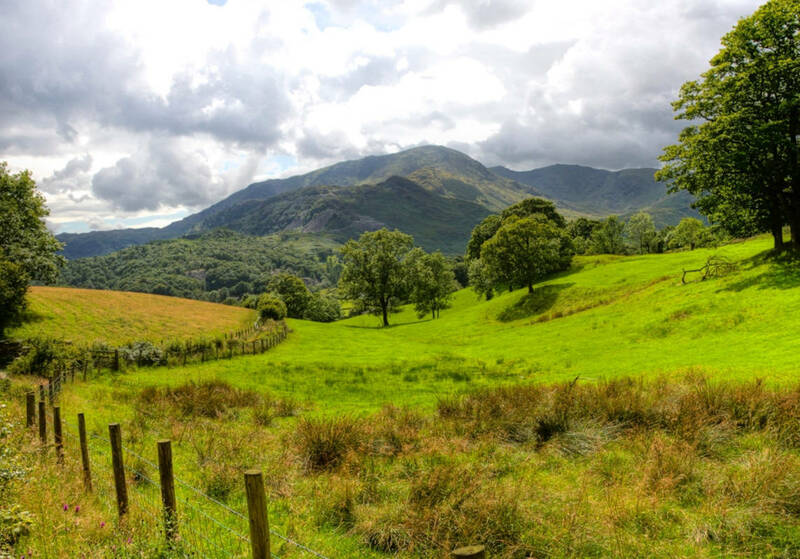 Known for being hardy and strong in tough weather conditions, the Herdwick breed thrives in the Lake District and is managed using traditional farming methods. 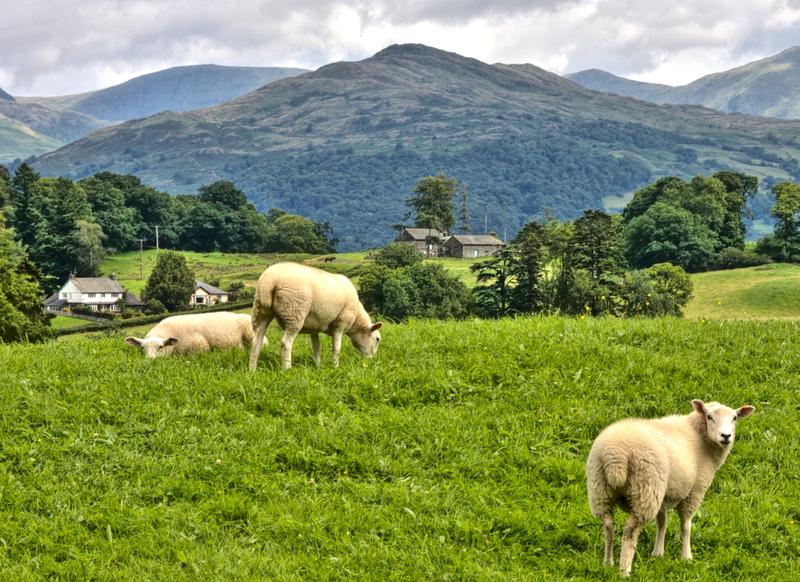 After tourism, agriculture is the region’s largest source of income, and Herdwick sheep are a huge part of this. 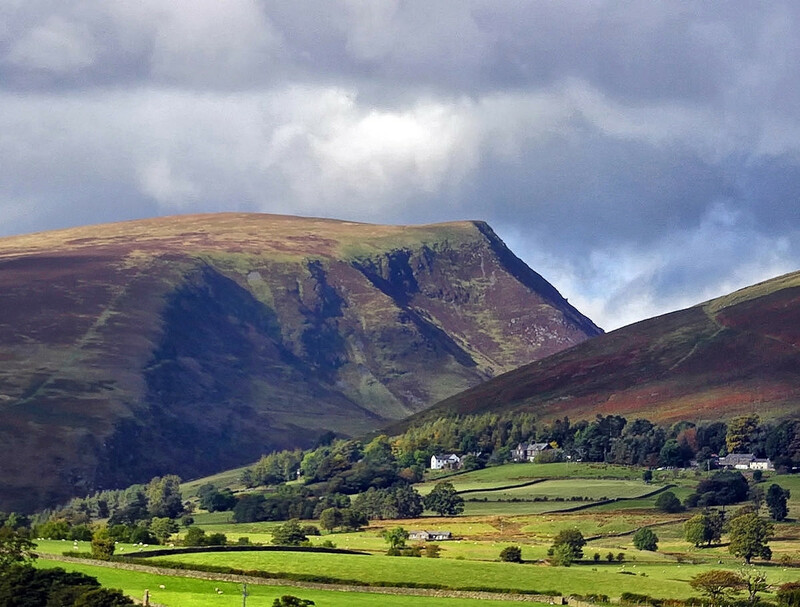 Farmers say the sheep are “heafed to the fell”, meaning that they can be safely left to wander the unfenced terrain. 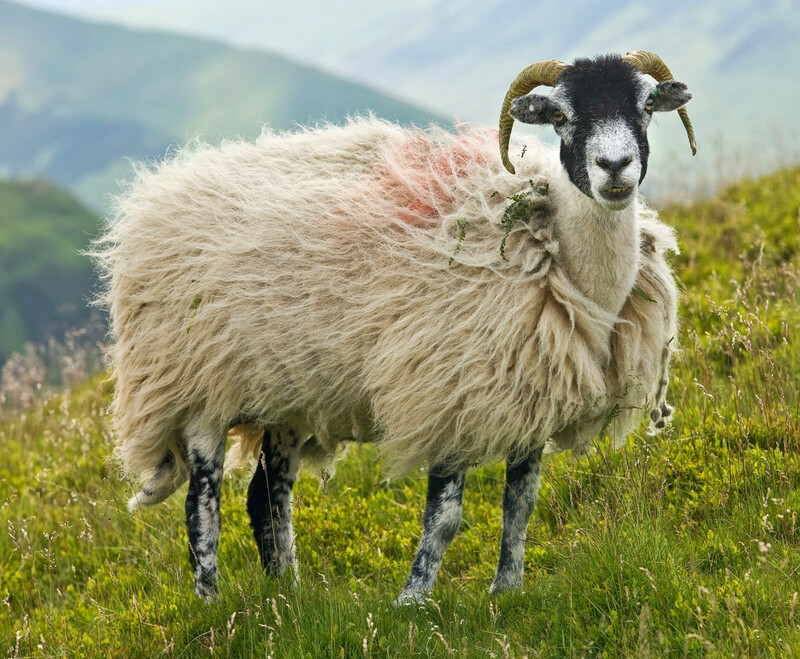 Able to withstand the most appalling weather in winter, the sheep help maintain the “Lake District look” by grazing heather and grass evenly and keeping bracken and scrub at bay. 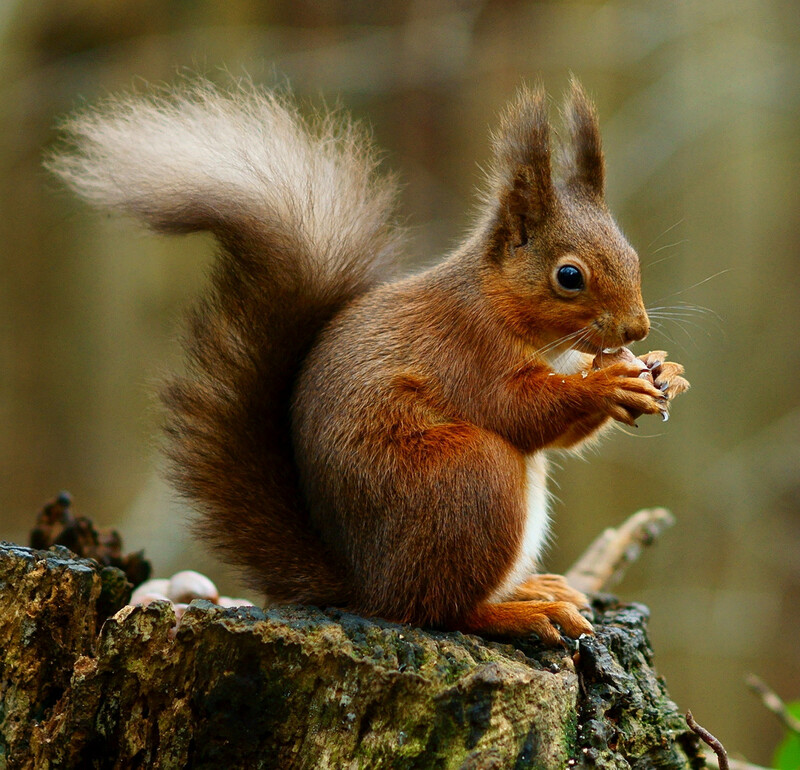 Native to the woodland areas of the Lake District is the beloved British Red Squirrel. 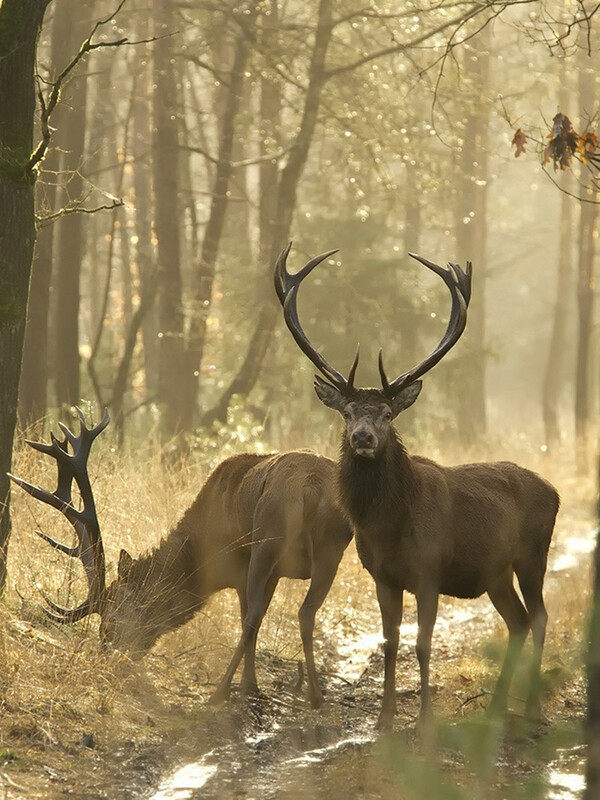 Now an endangered species, the Lake District is one of the few remaining areas of Britain where Red Squirrels can still be found in the wild. 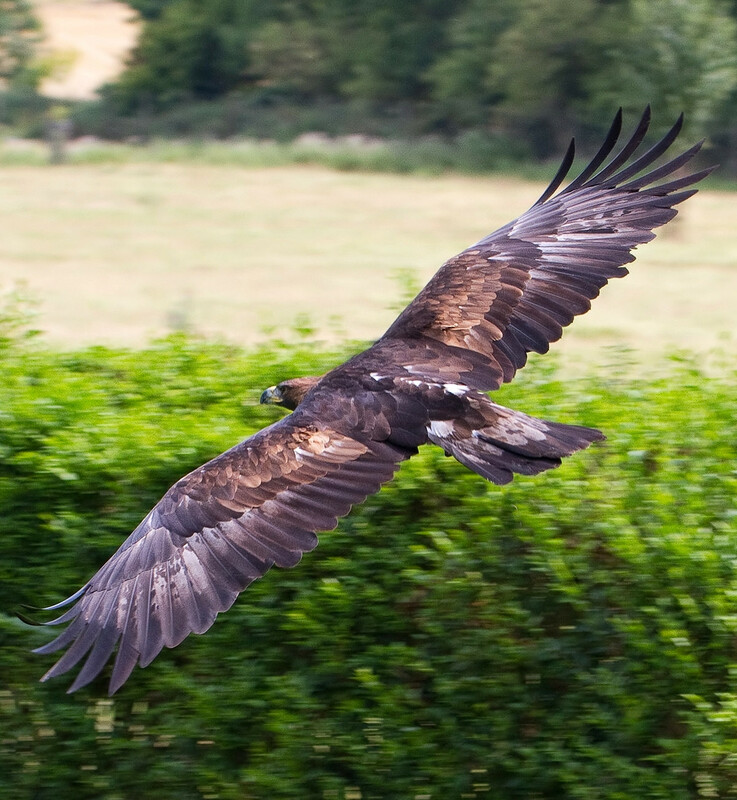 The Lake District National Park is also home to a large variety of other rare or protected species of wildlife including red deer, Peregrine falcons, barn owls, Natterjack toads and Britain’s only nesting pairs of Golden Eagles and Ospreys. 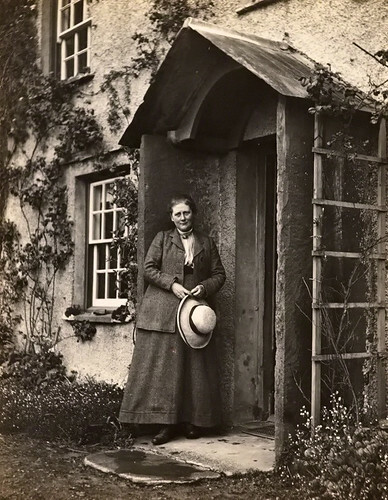 Created by the writer and illustrator, Beatrix Potter, Squirrel Nutkin is one of the most famous squirrels in the history of literature. 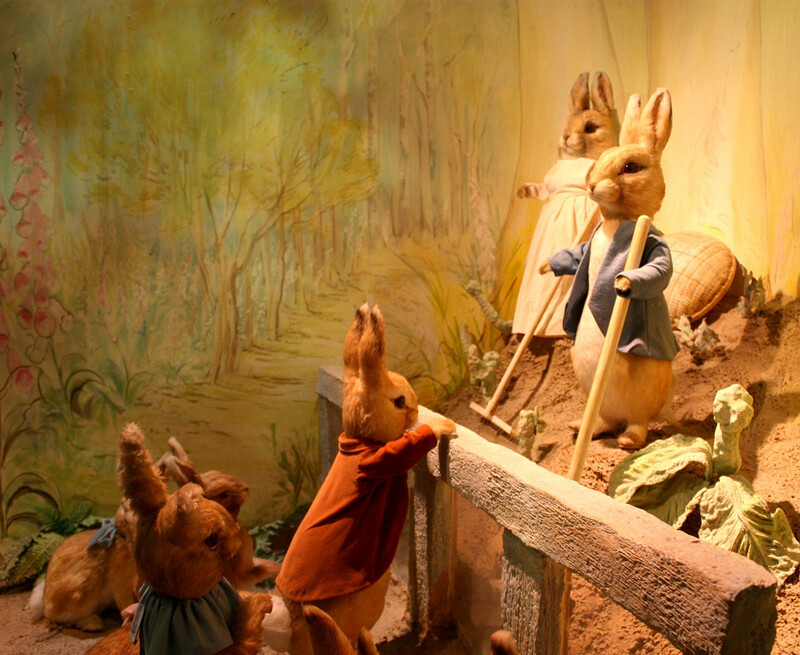 Inspired by much of the Lake District’s wildlife for her stories, Beatrix Potter’s most famous character was Peter Rabbit. 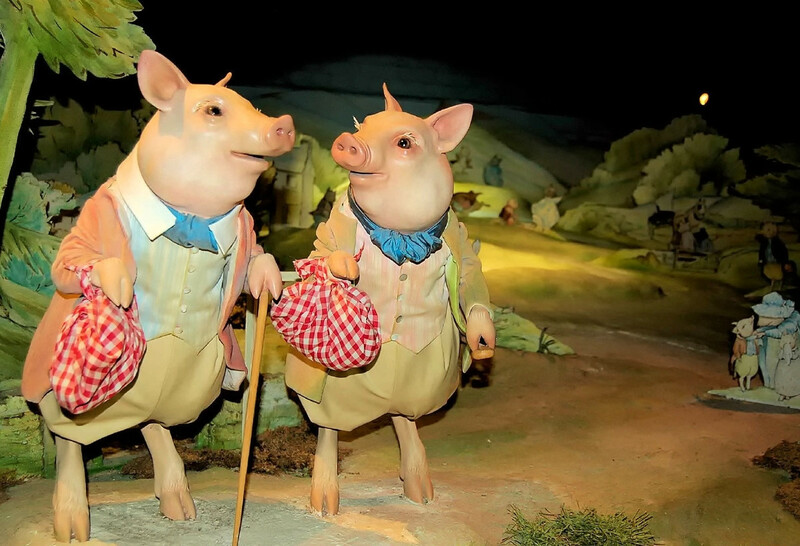 Following the adventures of the mischievous and disobedient young Peter Rabbit, The Tale of Peter Rabbit is one of the best-selling books of all time. 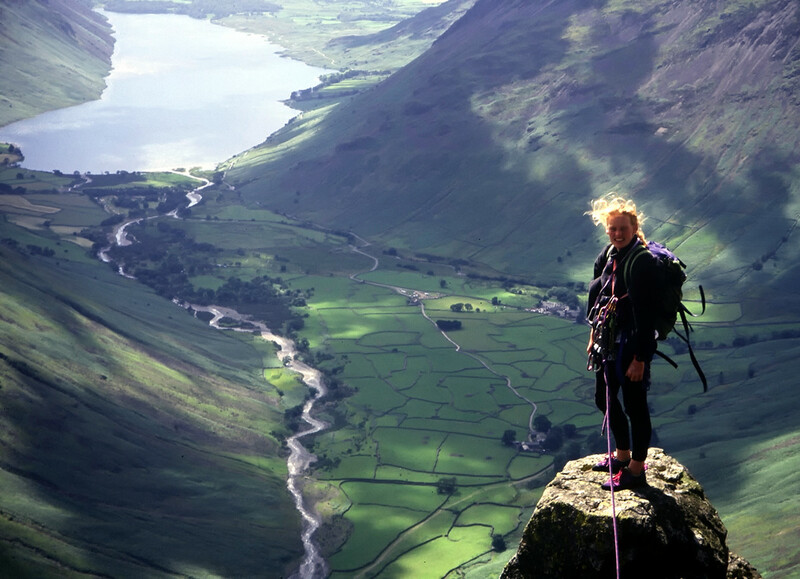 She bought her house, Hill Top in the Lake District with the profits. 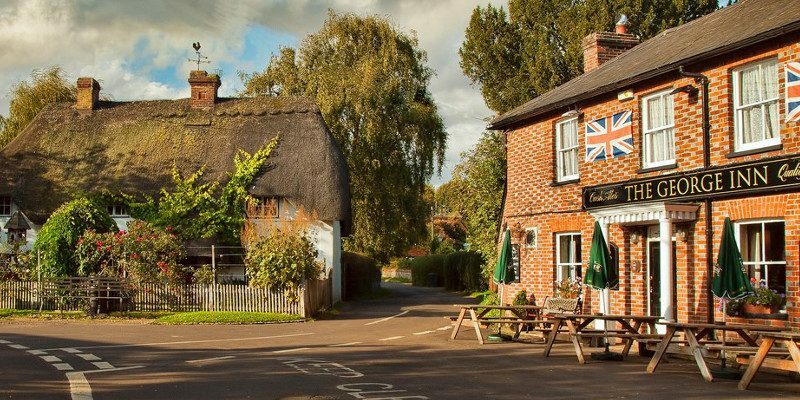 Now a National Trust property, the house is open to the public and, as requested in her will, the interior has been “left as if she had just gone out to the post”: a fire burning in the hearth, cups and saucers on the table ready for a visitor. 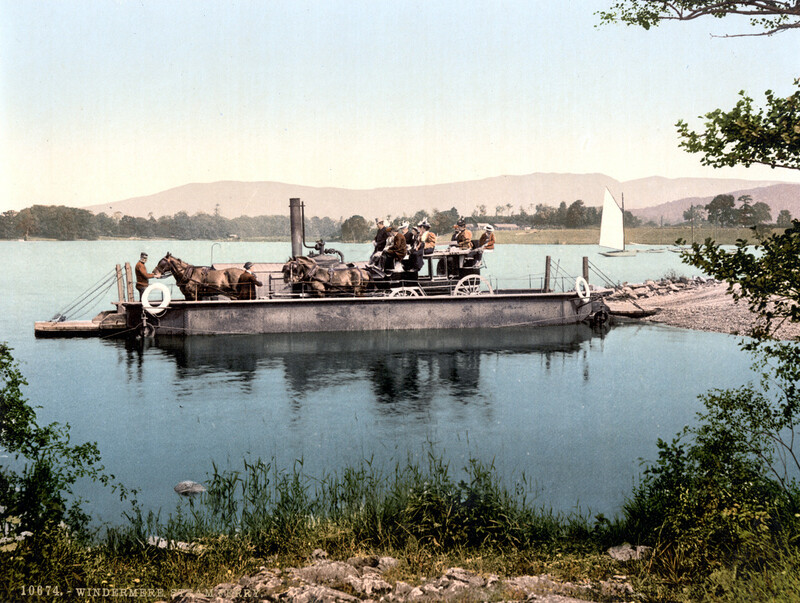 At the turn of the 20th century, luxury steamboats were a familiar sight on Windermere’s 10.5 mile stretch of water. 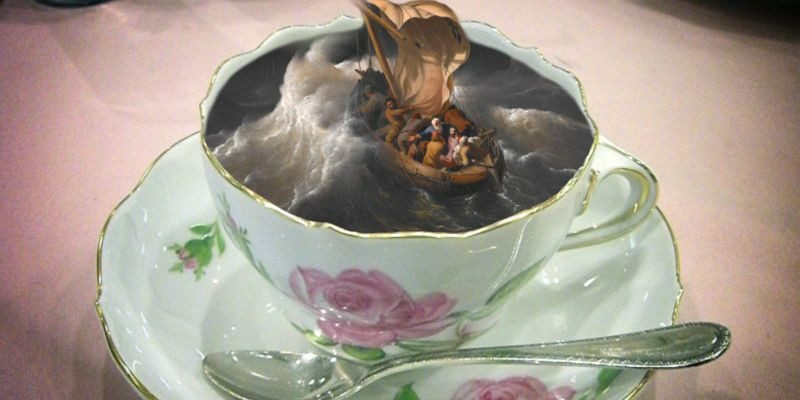 Commissioned by wealthy Victorian industrialists, the extravagant vessels were perfect for cruising on weekend retreats around the area. 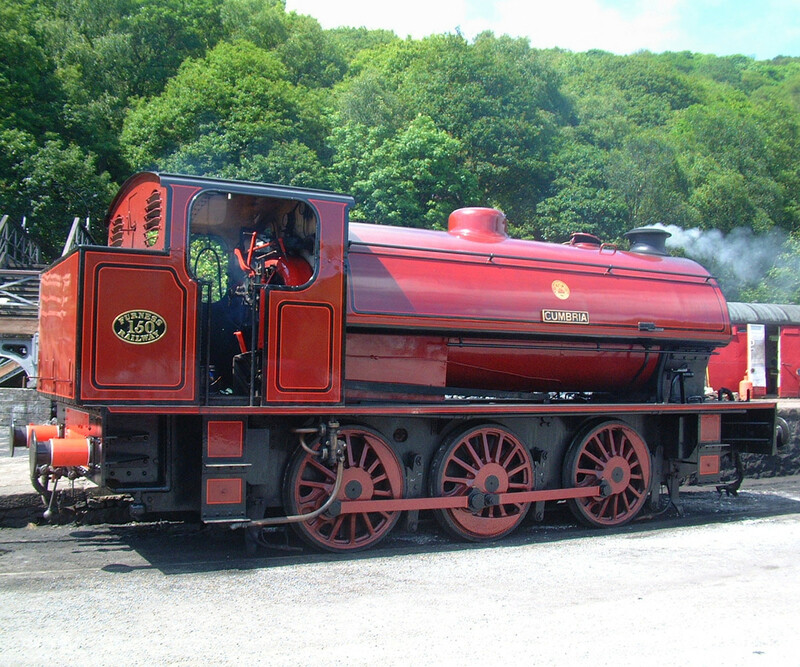 Outmoded by newer technology after World War I, most steamboats were broken up as newer technology replaced them. 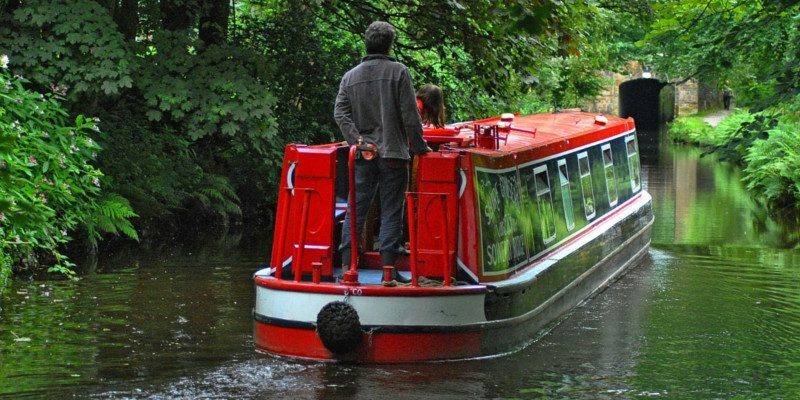 But you can still experience a ride on a few remaining steamboats that are converted to diesel and enjoy the collection of restored boats at the Windermere Steamboat Museum. 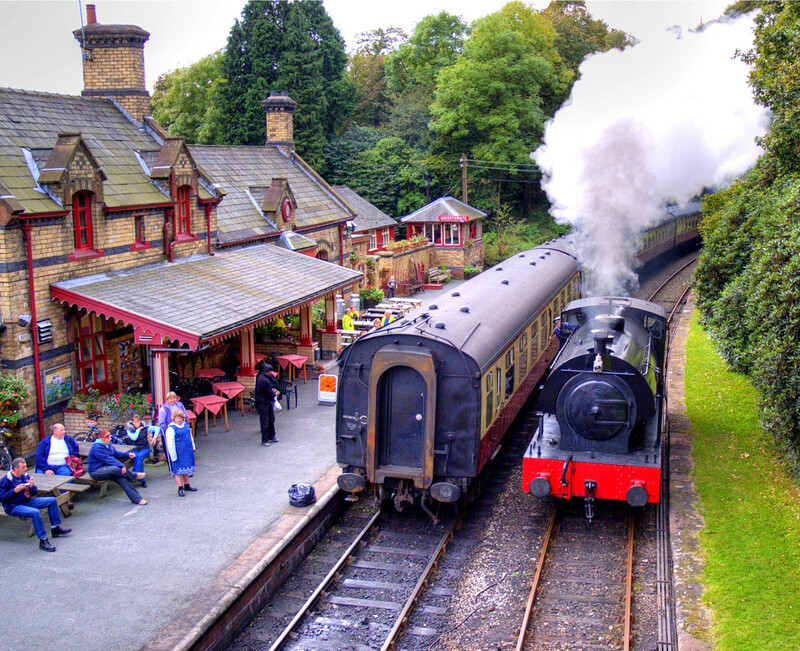 The Lakeside and Haverthwaite Railway is a heritage steam railway that runs from Haverthwaite via Newby Bridge to Lakeside at the southern end of Windermere. 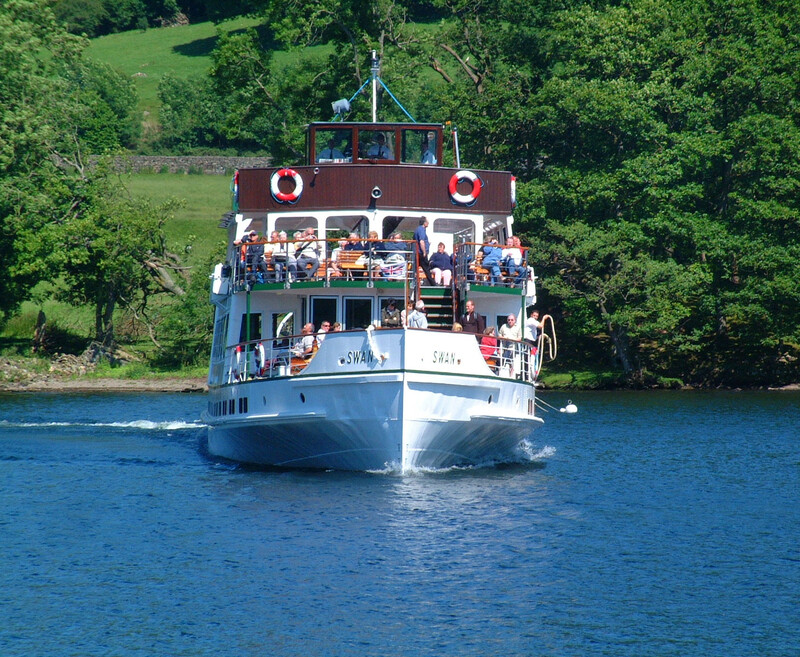 Several services are timed to connect with sailings of the steamers on Windermere,.